Step aside Barbie and make room for the newest blonde role model in the pink aisle, GoldieBlox! This new toy is designed specifically for girls and is the epitome of girl power. Little girls today are, in most cases, being raised to believe they can be anything they want to be but they still have limitations placed on them with stereotypical ideas of what a girl should be. Toys in the so called pink aisle of department stores all reflect the old adage that little girls are made of “sugar and spice and everything nice”. Well of course they are, but they are also made of so much more. Most little girls will tell you they want to be a princess when they grow up. GoldieBlox is here to inspire a whole new generation of girls that they are more than just a princess. Debbie Sterling is the innovative mind behind GoldieBlox. She is a Stanford Engineer that created GoldieBlox to inspire little girls that they can grow up to be a significant part of building and contributing to the world in which we live. Debbie never had a clue as to what an engineer was as a young girl until a math teacher at her high school in Rhode Island encouraged her to pursue an engineering degree. She quickly realized that there were very few females in the engineering field and actually only 11% of engineers are women. Debbie set out on a path to change this statistic by finding a way to inspire a future generation of female engineers. The concept of GoldieBlox was developed after doing much research on child development and differences in gender. Debbie found that little boys have inherent spatial skills and building and construction toys encourage development of those skills. Little girls have excellent verbal skills and enjoy reading, storytelling and characters. Girls also typically begin to lose interest in science as young as 8 years old. GoldieBlox was designed as a book and construction toy series with Goldie as the main character. She is a spunky inventor that loves to figure out how things work and build things. Goldie teaches little girls about simple engineering concepts and principles in a fun way through stories that girls can relate to and adorable characters. GoldieBlox and the Spinning Machine is the first interactive book series and construction set starring Goldie the kid inventor. It is an introduction to Goldie and her friends and teaches the basic principles of engineering, development of problem solving and spatial skills, strengthens confidence, and sparks an interest in math and science. Geared specifically for girls ages 4 to 9 the set includes one storybook, five colorful animal characters, and the construction set. The construction set consists of one pegboard, five wheels, ten axles, five blocks, five washers, one crank, one ribbon and 14 design templates. All pieces in the construction set are designed to be interchangeable with other sets in the book series to provide for endless play opportunities. GoldieBlox and the Spinning Machine is so much more than just a toy. It was created and designed by a real engineer putting her heart and soul into it, as well as her life savings, in an effort to truly inspire and empower girls to learn about engineering. 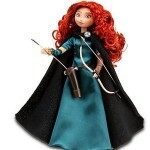 This is a wonderful gift for young girls for many different reasons. It not only provides an introduction into the world of engineering but also encourages girls to aspire to be anything they want to be, to think outside the box, be confident and know that they can help to build the future. This is an educational toy that helps to build important skills as well as inspire and motivate girls in a positive way. Debbie, the founder and CEO of GoldieBlox, believes that there are millions of girls out there who are engineers in the making and just don’t realize it yet and Goldie can help to show them the way.